Such is the case with the Pizza Mania early math game from Learning Resources. 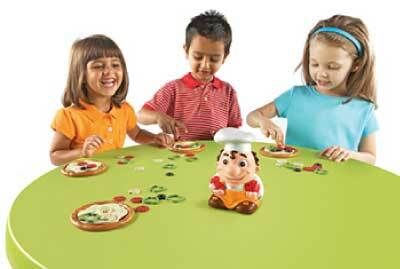 Now young children get to combine new skills like addition, subtraction and listening carefully with their love of pizza! Keep reading to learn more! I reviewed the Pizza Mania early math game from Learning Resources, which retails for $24.99, but is currently on sale for $23.91 with FREE SHIPPING. Get ready to make some delicious pizza with the Pizza Mania action-packed, early addition and subtraction game from Learning Resources! Listen to the chef, then add or subtract the right amount of toppings. Build the perfect pizza and win the game! Playing Pizza Mania couldn't be simpler, for it only requires the player to follow the directions of the pizza chef. There are two modes of operation: Pizza Party and Pizza Panic. Pizza Party is a great game for younger players. Just listen closely to the chef and follow the directions. This game will reinforce addition and subtraction of numbers 1, 2 and 3. Pizza Panic is a game for more advanced players. This game plays the same as Pizza Party, but the speed is much faster. Think fast, act quickly and get to building those pizzas! Each game lasts approximately 60 seconds, which is perfect for younger children's attention spans. 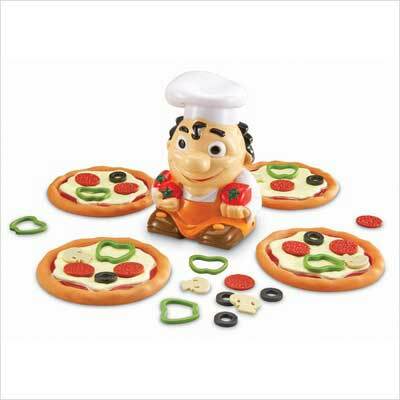 At the end of the game, the chef will tell you which toppings should still be on your pizza. All players who managed to successfully build the correct pizza are winners! Although Riley was still a little too young for Pizza Mania, I thought this early math game was a lot of fun and crucial to building essential listening skills. I like how math concepts of addition and subtraction are used throughout this game, but I was really impressed at how young children were being asked to listen closely and follow directions. Listening in this manner is a lifelong skill that will serve any student well, so why not start from the beginning and make it a lot of fun to do? I also love how more than one child can win this game at a time and that the pizza chef even has self-checking audio for additional support. Disclosure: I received the Pizza Mania early math game from Learning Resources in order to facilitate my review. No other compensation was received. This product review is based on my own personal experiences with this item and is completely honest and objective.